I studied Biology at Westmont College, and afterwards became an RN. I am married and have three teenage boys. My husband owns a finish carpentry business and I work part-time doing carpentry. 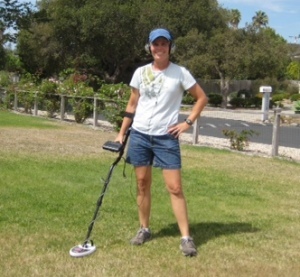 Metal detecting is a hobby I enjoy. I love finding things, and it is especially a joy to find a lost item for someone! I also enjoy looking for gold in the mountains rivers of our beautiful State!